Okay so it's not exactly breaking news. The Diamondbacks and Angels pulled off this trade with a little help from the White Sox almost two weeks ago. What you don't know is that afterward I contacted Tom from The Angels, In Order about a trade of our own. 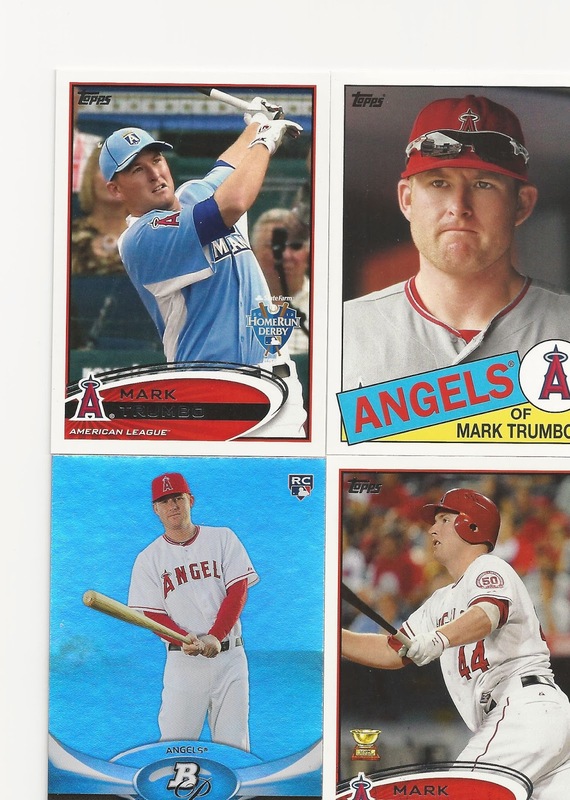 I asked if he had a few extra Mark Trumbo cards he would be willing to part with. I offered up some of my extra Tyler Skaggs. The trade was quickly agreed upon and a few days later these four cards showed up. 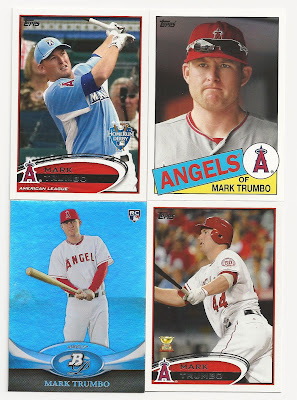 They're great and they'll come in handy this Spring Training since I couldn't find a single Mark Trumbo card of my own. Thanks, Tom!